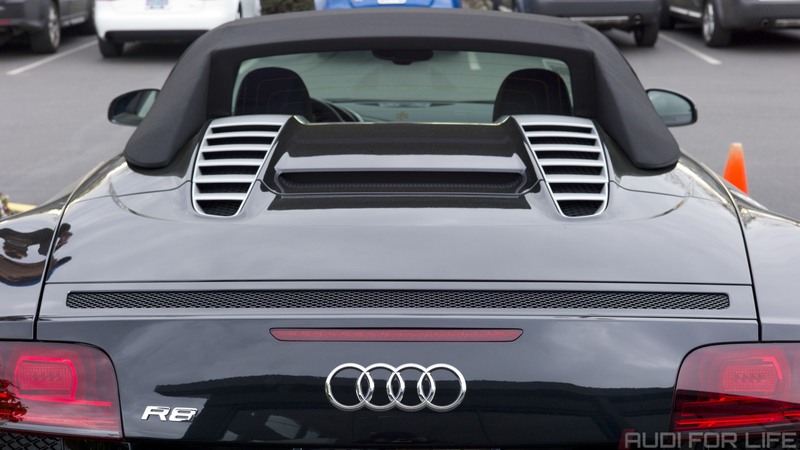 On 24 March 2012, Sunset Audi in Beaverton, Oregon hosted an A4 allroad quattro unveiling event. While waiting for the unveiling of the Euro-spec A4 allroad quattro, I walked around the showroom and part of the outside lot. Right in front of the showroom, there was a nice, black R8 5.2 Spyder sitting there just begging to be photographed. So, I took out my Leica M9 with a Summicron-M 50mm f/2 and took several photos. 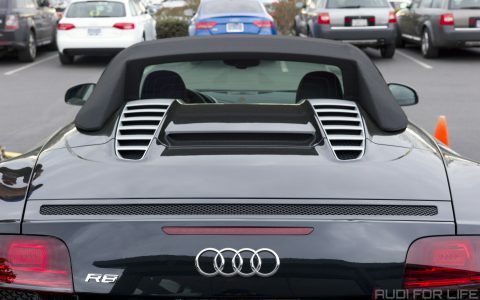 Okay, so my 2011 S5 was caught in the frame; but, I just love how the R8 Spyder looks from the rear. Sure, you don’t get to see the engine. On the other hand, the tonneau cover for the folding top with the vents, the mesh grille vent in the spoiler and the soft top’s flying buttresses make it one of the best looking convertibles and Spyders. You can find other photos that I took at the event in the “2012-03-24 Sunset Audi allroad Unveiling” set on my personal Flickr account.